*Payment : By Bank Transfer only, within 7 days from order confirmation. CH.GAZIN is located next to CH.PETRUS on the top of plateau, and sharing same terroir. Only PETRUS and GAZIN have pure heavy clay soil. It is not surprising. Because half of the vineyard of CH.PETRUS used to be CH.GAZIN. In 1969, CH.GAZIN sold 5ha to CH.PETRUS. If you are looking for classic, long-lived, massive, pure-Merlot from POMEROL, GAZIN is the best choice. At the early stage, it is not easy to approach this wine, even Mr.Robert Parker Jr. admits that it is not easy to evaluate GAZIN at early stage. This is same as TROTANOY and PETRUS. For this kind of long-life backward Pomerol, we have to be patient. And great experiences are promised after patience. 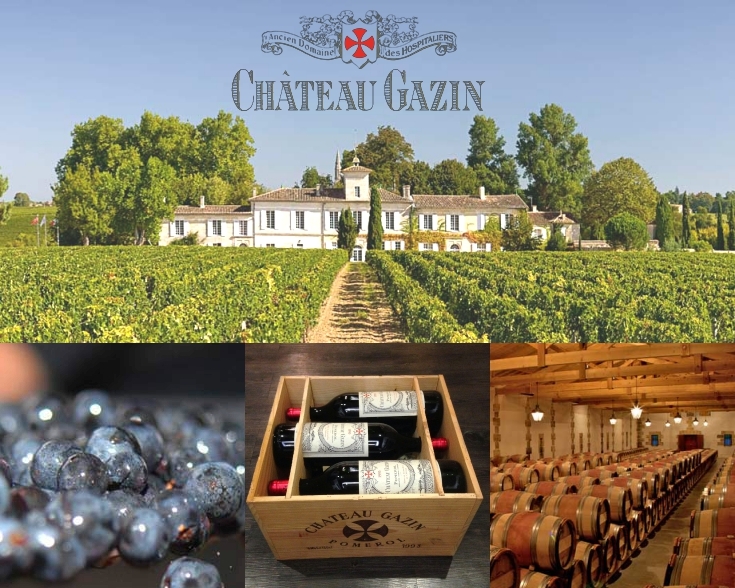 Château GAZIN's vineyard covers an area of 26 hectares, in a single holding, on the upper terrace of the Pomerol terroir. The terroir at Château Gazin consists of Gunzian gravel on the surface and a subsoil of blue and green clay with iron oxides (iron residues). As is characteristic of great terroirs, these clays (smectites) ensure that the vines have a reasonably stable supply of water. Château GAZIN's terroir essentially consists of the clay-gravel subsoil of the Pomerol plateau. The vineyard is planted with 90% Merlot, 7% Cabernet Sauvignon and 3% Cabernet Franc. The average age of the vines is 35 years. The vines are planted with a density of 5,500 to 7,000 per hectare.